128 Real English for life beyond the classroom Writing in English at advanced levels involves more than just words and grammar - it requires knowledge of the audience, context, environment and more. Being able to communicate in an appropriate way will help you to make a great impression when you write in English. Using real life examples and language Collins English for Life: Writing (B2+) will help you to sound natural, clear and confident when you write. > Study the language people really use when they are writing > Compare and contrast writing styles in lots of different environments > Useful tips to increase your understanding of tone, slang and social context Includes practice of writing in the following contexts: * Writing a blog * Contributing to an online forum * Making a complaint * Writing notes Plus each context helps to develop valuable writing skills including: * Structuring your thoughts * Being polite but firm * Being light-hearted * Editing your own work About the series: What is it? 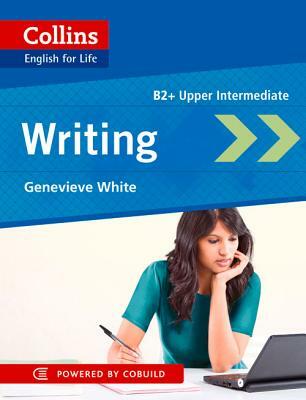 Collins' innovative English for Life series adds the extra bit of authenticity to your studies that traditional coursebooks often lack.